When I present a solo build it review, I have to be very careful, as I should be. I’m going to say from the start that Solo Build It is an excellent platform. As the founder of Solo Build It Ken Evoy has taken offense to the reviews made by members of Wealthy Affiliate and created a study to show that his program is far better than Wealthy Affiliate (WA). I’ve read parts of Mr Evoy’s study because as a member of WA I was curious to see what the commotion was about. As a result, I tried to do some research into what apparently seems to be a heated controversy, especially from the viewpoint of Mr Evoy. Solo Build It is about has been in business for 15 years to be exact. If you’ve been in business online for 15 years that’s an excellent sign. This is a really good company with a great platform. The focus of Solo Build It! according to their website is that it is a business builder with everything you need to have success online all in one place. I like the term “solopreneur” that Solo Build It! uses to describe their members who are building online businesses. They are a company that offers to teach the “little guy” a way to make money online..
Another aspect I like about Solo Build It! is its members get a set of tools in house, so you aren’t wasting valuable time searching the internet piecing together different components needed to run a successful online business. Is Solo Build It Better Than Wealthy Affiliate? After researching what SBI has to offer as a member of WA, my observation is the goals of both companies are about the same. You can read my comprehensive Wealthy Affiliate review here. Both Solo Build It! and Wealthy Affiliate have in house tools to help grow their members online business including forums, keyword research tools and hosting. 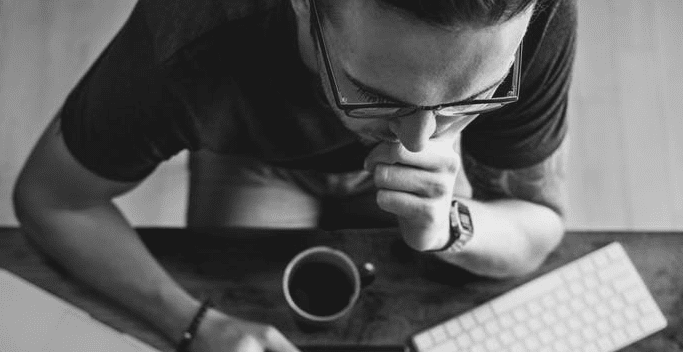 Taking advantage of the free trials allows an aspiring marketer test the platform to see which company has what you’re looking for as a “solopreneur”. For the Solo Build It! Free Trial Click Here. So the answer to the direct question which is better completely depends upon YOU. Whatever platform between the two YOU feel gives you the best chance for success is the one you should view as the best. Ken Evoy has been furious with the owners of Wealthy Affiliate, Kyle Loudon and Carson Lim because he feels they don’t do enough to police their members “reviews” of Solo Build It! Let me say that I certainly understand how Mr Evoy feels, or any business owner for that matter. Owners are very protective of what they’ve build up over the years and no business owner wants to see “reviews” or “comments” that they feel are unfair or untrue. Many members of Wealthy Affiliate have written reviews about Solo Built It! that usually favor Wealthy Affiliate over Solo Built It! and that has Mr Envoy upset. However, there have been many from Solo Build It! who have written less than flattering reviews about Wealthy Affiliate. Is there ever going to be an end to this particular controversy? As long as people breathe they will always have their opinions and they will post them on the internet. There will ALWAYS be individuals who don’t like what you post. There will ALWAYS be people who bend the rules and who are unethical. There will ALWAYS be people who don’t like YOU and take delight in tearing you down. My point is people will ALWAYS do what they do and say what they say, regardless if it’s in a review, blog post, social media post, etc, etc, etc. So that brings us back to the reviews of Solo Built It. It’s no secret that Mr Evoy feels that the “reviews” of his platform by members of Wealthy Affiliate are biased, inaccurate, and unprofessional. The bottom line is there’s absolutely nothing you can do about it EXCEPT continue making a great product and improving on it. When you have a great platform with quality information, it will always silence those who seek to spread half truths and deciet. Ken Evoy fought back by producing a study to prove that Solo Build It! is a better platform than Wealthy Affiliate and that the review of his platform by Wealthy Affiliate members are completely bogus. As most people know just because someone or some group produces a “study” doesn’t mean that it is accurate. You can choose a subject and find a study that is negative as well as another study that is positive on that same subject. I could not read the entire study because it’s quite lengthy I don’t have the time to read that much material due to other obligations. In my comments tried to focus on the main arguments made against Wealth Affiliate. Hundreds of WA members get to host up to 50 different domains that are included with the membership. Hundreds of members buy multiple domains and leave them sitting there while they tend to their main site. The SBI study is counting not only the members “main sites” but the test sites, along with all of the other domains that are just sitting there collecting cyber-dust. If they are counting all these sites and domains collectively then from SBI’s viewpoint Wealthy Affiliate sites do not rank. WA wants people to promote the company – This is true also. Wealthy Affiliate provides the tools to do so. What they don’t provide is instructions or encouragement to bash other companies. No one, not even Ken Evoy, can find a single thread of evidence showing Kyle Loudon or Carson Lim instructing Wealthy Affiliate members to bash other companies. Bashing other companies is not taught in Wealthy Affiliate. Period. Each and every single member is a business unto themselves and are responsible for their own website or blog. They are an entity unto themselves and are not directly connected to Wealthy Affiliate. WA is the platform from which members choose the direction of their niche. If any member of Wealthy Affiliate is writing negatively about Solo Build It! they are acting on their own. No proof of members success – there are members at WA making five, six and seven figure incomes per year. They are not going to advertise it because their business will be relentlessly duplicated by others. The argument that there aren’t success stories from using the Wealthy Affiliate platform just isn’t true. What is true is that many of the “Wealthy Affiliates” choose to keep the nuts and bolts of their success private due to the dog-eat-dog nature of online marketing. There are thousands of people in this business who are ruthless, unscrupulous, nasty, arrogant, greedy individuals who couldn’t care less about you and your business or brand. When successful affiliates choose to fly under the radar, regardless of the platform they’re associated with, I completely understand! In Part Two I will discuss the Alexa rankings that Solo Build It! uses to validate their report and just how accurate they are. This is a great review, not biased or favoring one platform. Owners of both platforms seems to have spent so many years building up their business and helping other people make money too. As much as people are geared to make more money, they should put respect on work done the business owners and give accurate and worth reviews. Great review. I like your sincerity about both platforms. I love the way you presented both platforms without rubbishing the other. Unfortunately or so it seems, that is the path most reviewers take., in order to get one to sign up to their recommended platforms, they tend to outrightly discredit other sites. Thanks for being fair. I haven’t heard of solo build it before, though I’m a member of wealthy affiliate. I can say WA is amazing I don’t regret joining it. I truly appreciate your comparison of the two sites and say that they are both appealing, each in their own way. I went and viewed each of them but got no feel for the controversy. Did I miss something? But please correct me if I am wrong, This all seems to be a “he said, she said” kind of thing and what we all have to do to get passed this? I can imagine that with this fast paced business, emotions will rise, and tempers will flair. Can you give us a comparison of the business platforms of these two companies that should remove the emotional element of this controversy? 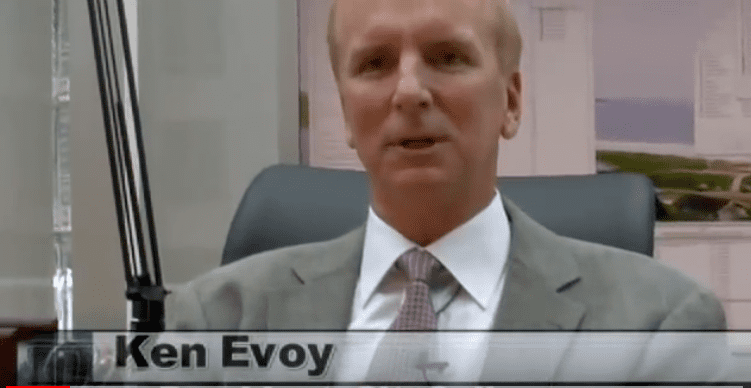 Ken Evoy stands by his very detailed report…So he’s not backing down anytime soon. Apparently Mr Evoy can’t get pass it. That’s why I found it necessary to discuss it. I have to say, this is a very detailed and informative review (part one) with lots of very valuable and useful information with unbiased opinion, great job! I’ve really enjoyed this review. As far as SBI goes, well going into this review I didn’t know nothing about it so I was quite surprised to discover that there is other platform which does a great job at teaching people how to build sucessful online business from ground up. I thought only WA are doing this because they are so great at it! I am a die-hard WA fan and I absolutely love this platform from bottom of my heart and I think they are absolutely the best at what they do, but I won’t lie, it would be pretty interesting to try SBI out just to see how it compares to WA and what it has to ofer that WA doesn’t, and what are the overall positive and negative differences between these two. Talking about the whole controversy about ”negative” reviews surrounding SBI allegedly from WA members, I will have to say it is quite ridiculous for Evoy to get so furious about them and even go as far as deleting them. Well yes, I totally understand that it is frustrating to receive bad reviews about the platform in which You’ve dedicated big part of Your life and put in tremendous amount of hard work into, but You have to realise that each person has a freedom of speech and can say or type whatever he feels like saying or typing. Instead of deleting bad reviews Envoy in my opinion should focus more on marketing his own platform to attract more visitors and potential die-hard SBi fans who will leave great and positive reviews, therefore making SBI much more popular! Basically spreading positive words about the SBI. Thank you for this great article on Solo Build It’s report against Wealthy Affiliate. I honestly have never heard of Solo Built It until now. So they must not be doing enough to promote their own platform. There are many other platforms that also offer similar all-in-one built in systems. It’s hard to know which ones are really legitimate and if they give you any advantages until you try it yourself. After looking at the video promo, it seems that they target business owners who are new to the SEO game and are just learning the ropes. There are many people online now offering similar consulting services to local businesses and charging them for leads. It’s becoming a lucrative business for individual consultants now. I think SBI should be more concerned with that than Wealthy Affiliate. I really appreciate the amount of effort you put into investigating the report and offering great opinions about the platform. I have no doubt that some of them get results and the focus is usually on those members that have great success. Wealthy Affiliate and other platforms also do the same thing. Not everyone has the same success as the top earners, but the ability to have several ways of making affiliate commissions on the platform is incredibly unique of WA. I don’t know if any other platforms offer that besides just an affiliate commission for referrals. Thank you for this great review and I’ll be on the lookout for anything new regarding this platform.